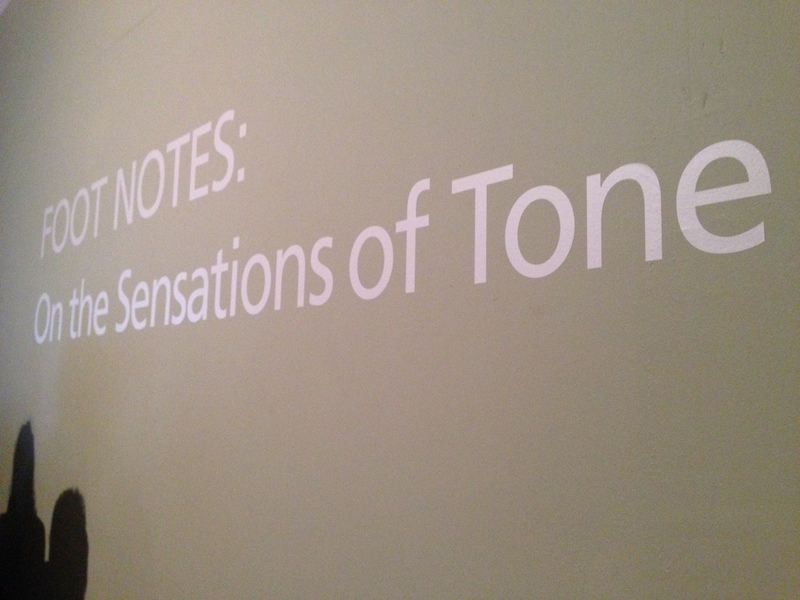 A wonderful time at the opening of the Foot Notes: On the Sensation of Tone exhibition curated by Alastair Noble. A special and heartfelt thanks to the Gallery staff and owner Steven Rand. The attendance was high from start to finish and everyone seemed intrigued by all of the work on display. It was also a great opportunity for me to experience and engage in other sound works by Ed Osbourne, Chris Watson, Annea Lockwood,Robert Macfarlane and David Rothenberg. I definitely will be going back! 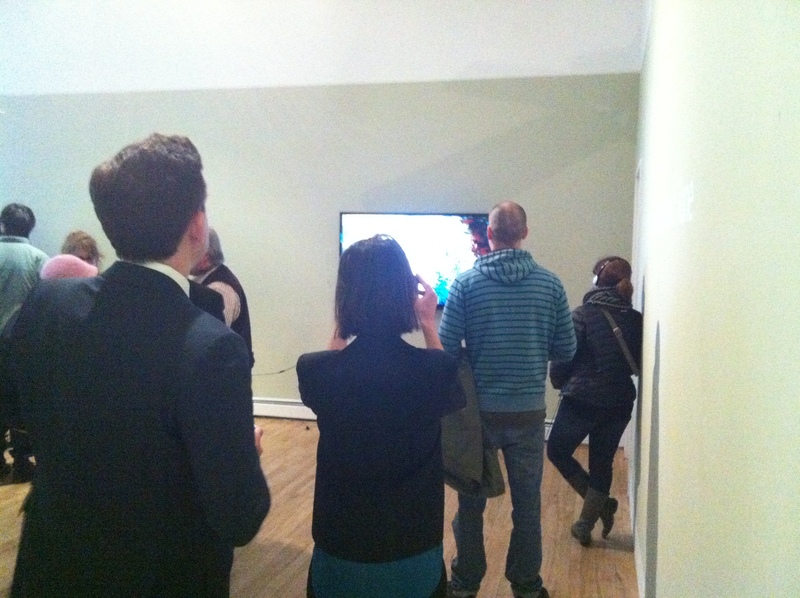 The exhibition runs until March 7, if you are in New York, check it out! 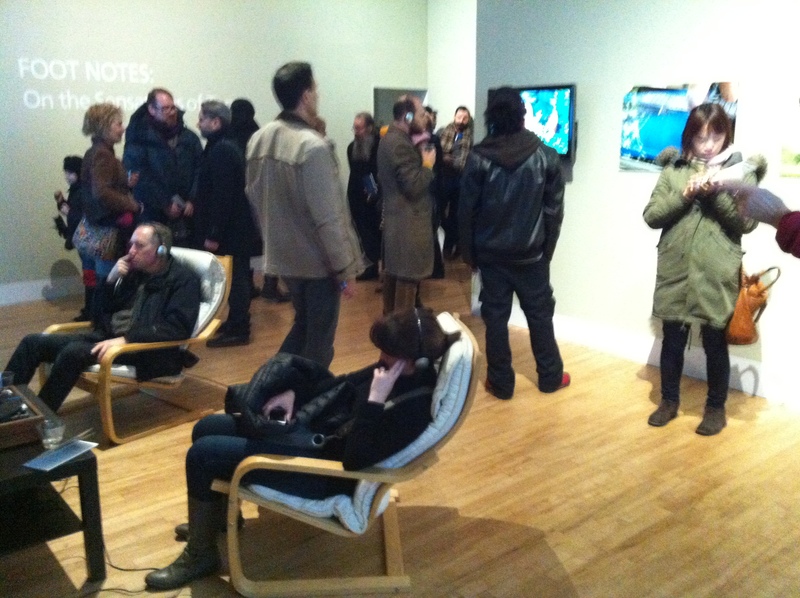 This entry was posted in Art, Audio Visual, audiovisual, collaborations, field recording, Galleries and tagged Apexart, Exhibition, sound art on January 18, 2015 by framingsounds. I am really excited that the ongoing Miniature Landscape Correspondence project that Una Lee and I created is going to be part of this wonderful sound event curated by Alistair Noble. 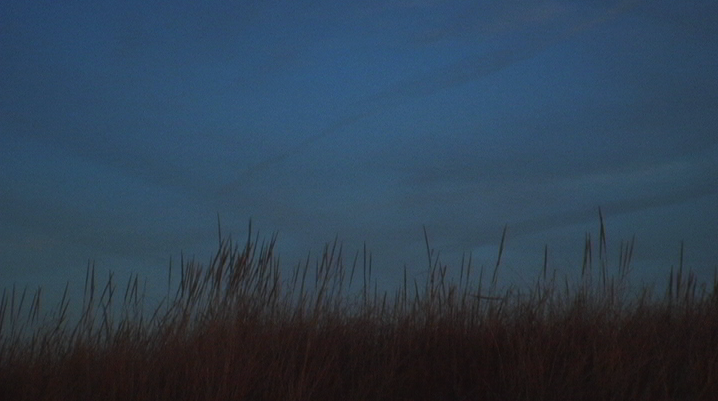 Another international venture is built with field recordings, the source of the raw unedited audio-visual postcards or Miniature Landscape Correspondences (2013), a collaborative project between Una Lee in South Korea and Chris H. Lynn in the United States. This again relies on a two-way call-and-response process of on-site audio recordings, coupled with a steady visual and audio rhythm. 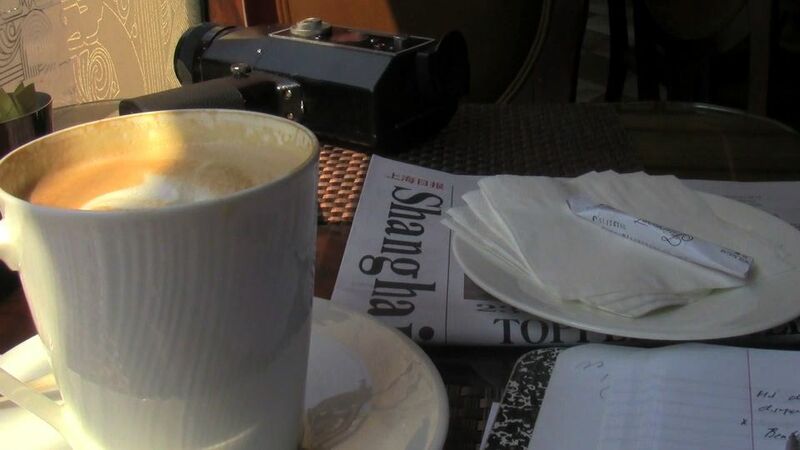 These reflect the direct experience of the everyday from each vantage point of the correspondent. The unassuming public spaces are captured to relay an intimate association for a private missive between friends. 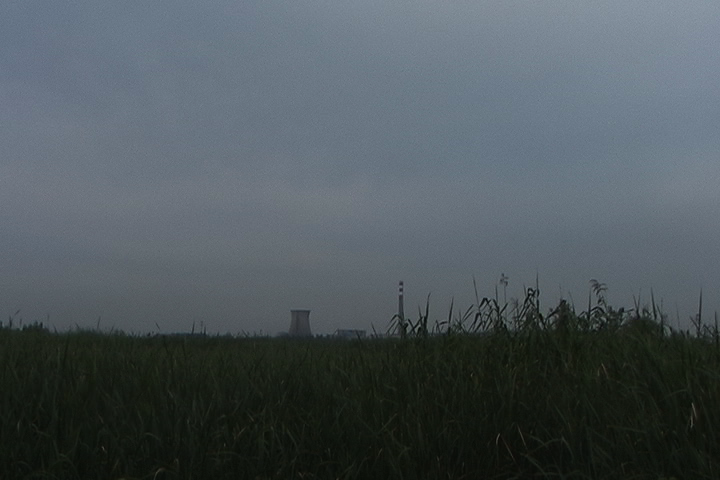 Short, without text, just two video shots with recording of urban or natural sites, no narrative or texts are recorded; it is purely the transmission of an atmosphere by each party. Here, poetic moments of image and sound convey all. Initially, current social networking sound bytes are conjured up with these very short audio visual videos, however they more closely resemble 19th century epistles between fellow poets. Once again the ruminations of Coleridge come to mind in which his communiqués transform his reader through poetic verse. Above is a new MLC just published. More exciting events on the way! This entry was posted in Art, Audio Visual, collaborations, field recording, Galleries, landscapes and tagged Apexart, environment, Field recordings, sound art on January 5, 2015 by framingsounds. Below are some exciting events coming up! There are actually a few others in development, but won’t post until things are official. 12/11/14 Expanded Cinema Trio – Chris Lynn (projector, objects), Dan Barbiero (bass, objects) and Gary Rouzer (cello, clarinet, objects). More info TBA.Takoma Arts Center, Takoma Park, MD. 1/15-The Rain That Fell-New audio release on Impulsive Habitat. Cover Art for upcoming release! This entry was posted in Audio Visual, Cinema, collaborations, digital moving image stills, Events, Expanded Cinema, field recording, Galleries, landscapes, notes on my films/video/sounds, screenings and tagged Apexart, Expanded Cinema, Impulsive Habitiat, Lynlee, Screenings on October 26, 2014 by framingsounds. Here are some confirmed shows in the upcoming months. There are other events/screenings, but I am still waiting on all the details. I will provide links soon. 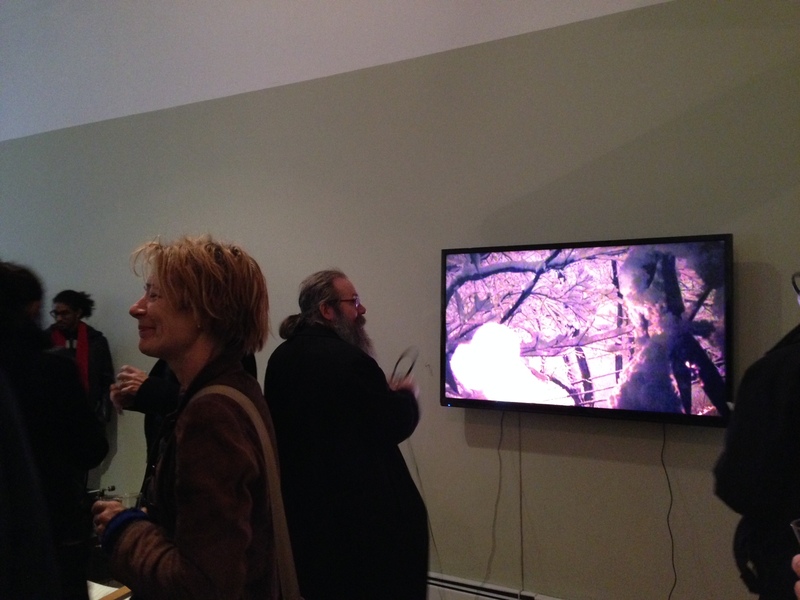 Expanded Cinema event with Gary Rouzer and Daniel Barbiero on December 11, 2014 at Takoma Arts Center, Takoma Park, Md. This entry was posted in Art, Audio, Audio Visual, Events, Uncategorized and tagged Apexart, Experimental, Festivals, Screenings, Sonic Circuits, Takoma Arts on August 24, 2014 by framingsounds.